JUDAISM IS A CULTURAL-RELIGION - someone born Jewish could be Atheist or Agnostic yet still be grafted onto Judaism. And not being sectarian this is why anyone can convert to Judaism if this is pursued well enough and with reason. Jewish customs are customs of Human Rights and Social Justice. We do not accept a Zionist State putting limitations on us. Israel is NOT a Jewish State. We the Jewish People are a People-Nation(Am Goy)! The Jewish People are NOT a racial or ethnic category. Ahed Tamimi was arrested after a video of her slapping and hitting two Israeli soldiers went viral. Ahed Tamimi's arrest drew the World's attention towards Palestinian hardship and again put the spotlight on Israel's treatment of Palestinians, especially Palestinian youth. 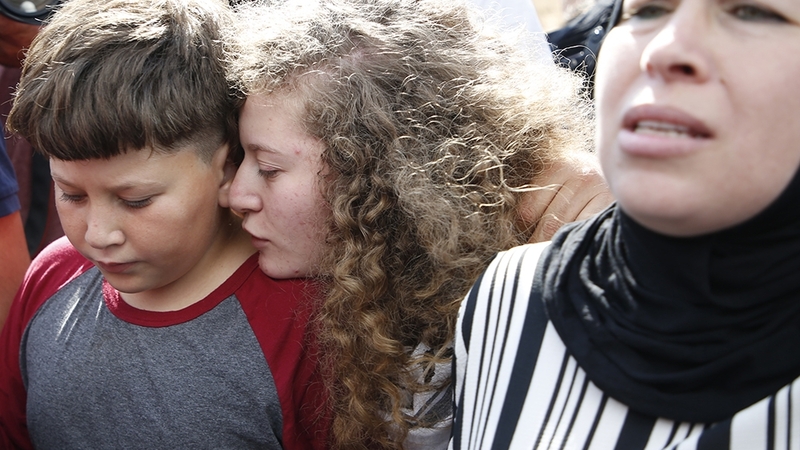 Upon Tamimi's release, she said that was planning to pursue a career in law. Ahed Tamimi said "hold the occupation accountable". Ahed Tamimi further said "In the end I want to say that the power is with the people, and the people will and can decide their destiny and decide the future. Women are a key part of the Palestinian struggle for freedom, and the women’s role will continue to expand, not only in the struggle but by producing new generations that can continue the struggle. We say: 'Leave, leave occupation.'" 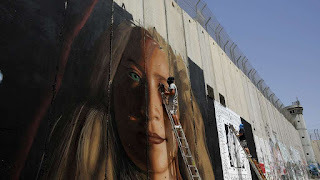 I am happy and grateful that Newman has allowed me to have this be my first article for our blog, as I feel very strongly about this young and courageous female Palestinian Partisan who has such Self-Empowerment in her eyes, the eyes of Auto-Determination, the eyes of Revolution, the eyes of Solidarity. This is the face of a Woman, the face of Revolution. I look at this Young and Brave Woman and I think to my self "This is what makes the world function, this face, the face of youth".